For most families, college planning is the norm; however, this often isn’t the reality for students living in underserved, marginalized communities. As the educational and economic gaps continue widening in our community, more than ever, it’s imperative to expose local male youth to environments outside of their daily scope of living. We’ve created opportunities for the youth in the My Daddy Taught Me That (MDTMT) Men’s Development program to participate in two college tours. 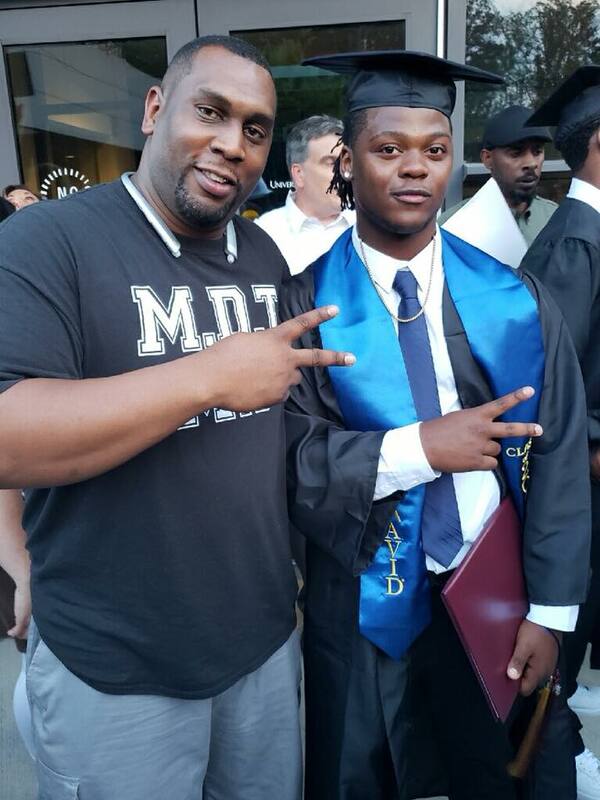 Educational development isn’t simply a principle of MDTMT, it’s one of our core strategies to support young men on making healthy life decisions on their road to adulthood. 1. Hold the vision. Remember the saying, “If you can believe it, you can achieve it?” When young people see themselves reflected in students attaining higher education as a part of their life plan, it makes space for them to hold the same vision for their own lives. 2. Make it real. For some male youth, college seems like a figment of their imagination, especially if they’ve never visited a college campus or none of their family members attended college. Visiting the campus gives them a real, high tough experience of what campus life is like. Every stage of the visit, from touring department buildings to eating a meal in the in the student activity center reinforces the idea that setting goals to attend college is a realistic accomplishment. 3. Understand there are options. One-dimensional mindsets affect all young men at some point in life. Sometimes they see life as one way and don’t give themselves permission to explore different options. Attending college tours opens them up to the understanding that not only can they entertain the option of post-secondary, they can also study a plethora of disciplines they’d never considered. At the end of 2015 and the beginning of this year, MDTMT took its young men to 2 campus tours, one in Atlanta, GA at Morehouse College and the other at Greensboro A&T in Greensboro, NC. This experiential learning has been the cornerstone for keeping our youth grounded as they navigate school and life here in Asheville and Buncombe County. If you want to support educational experiences for young men in our community, we invite you to make a donation of $25 or more. Your gift helps us to finance college tour field trips for up to 20 high school students each semester. Help us get the word out about the life-changing work MDTMT is doing. Share this blog post with your social media networks today!